Some interviewees can take a little time to warm up. Sure, they’ll nearly always be polite – but sometimes you’ll detect a weariness, or a certain suspicion, lurking behind those first few answers. When that happens, it’s your job to turn on the charm and engage their interest, coaxing as much out of them as you can in the time available. And then there are the Lionel Richies of this world: eager, enthusiastic, puppy-dog friendly, with an almost overpowering charm that instantly puts you at your ease. 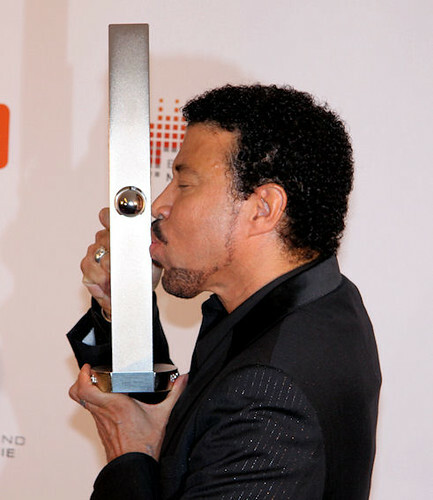 Moving and shaking, playing the game, and having fun while he’s doing it – that’s Lionel all over. One of Motown’s longest-serving and most successful artists, he’s been doing this sort of thing since the early 1970s, signing with Berry Gordy’s label just after it moved from the original “Hit Factory” building in Detroit to new premises in Los Angeles. For many of Gordy’s artists and backing musicians, who had grown used to recording in their home city, the move was a traumatic and controversial one. None of this mattered much to Richie and his band The Commodores. Hailing from Alabama, they brought a fresh set of musical influences to the label – although it still took them a few months to find their feet. Although Richie left Motown in the mid-1990s, a strong sense of identification with the label still remains with him. And when he attends the class reunions, which of the alumni does he hang out with? While his fellow graduates have mostly morphed into nostalgia acts, Lionel is still pumping out the product. The past few years have seen something of a commercial and artistic renaissance for him, and his newly released album Just Go – a collaboration with some of the top names in contemporary R&B – is already selling well. In the case, the answer lay in surrendering a certain amount of creative freedom to younger artists such as Ne-Yo and Akon, and recruiting some of the key creative talent behind hits like Rihanna’s “Umbrella” and Beyonce’s “Single Ladies”. As a testament of faith in R&B’s new generation, Just Go sets Richie apart from those of his contemporaries who dismiss the contemporary version of the genre out of hand. Thankfully, one of R&B’s more irksome new toys – the Autotune machine, which turns dodgy pitch into robotised perfection – was left in its box. As for the current tour, which lands in Nottingham on Monday night, the focus will be kept on classic values rather than gimmicky excess. 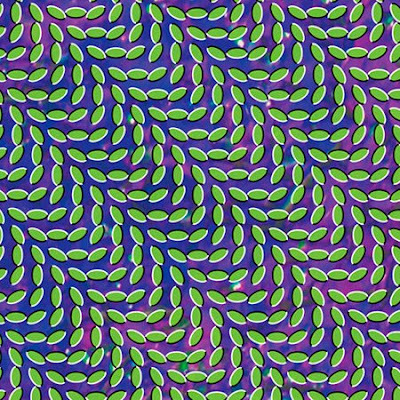 Animal Collective, Nottingham Rescue Rooms, Monday March 23rd. Leftfield experimentalism and commercial success rarely go hand in hand – but nine albums down the line, something about Animal Collective’s unique, uncompromising approach has finally clicked with a wider audience. On stage at a sold-out Rescue Rooms, they pushed their sound well away from the sweet pop hooks that have crept into newer recorded work – submerging their melodies in a soupy, echo-drenched and ear-splitting mix, and testing the stamina of newer, less committed followers. Each track flowed seamlessly into the next, building an intense, powerful and all-consuming mood. In time-honoured indie fashion, the three performers barely acknowledged the tightly packed crowd. Instead, they hunched studiously over their electronic equipment, obscured in semi-darkness. Above them, abstract moving images were projected onto a gigantic inflatable sphere. Below them, waves of thick, multi-layered sound crashed over our heads – battering some into stupefied submission, and coaxing others into twitchy, head-bobbing motion. The first forty minutes were the hardest work: ponderous, proggy, and teetering on the brink of self-indulgence. Thankfully, a sprightly Lion In A Coma marked the turning point, ushering in a more rhythmic, physical second half. The band’s recent single My Girls was saved for the encore. 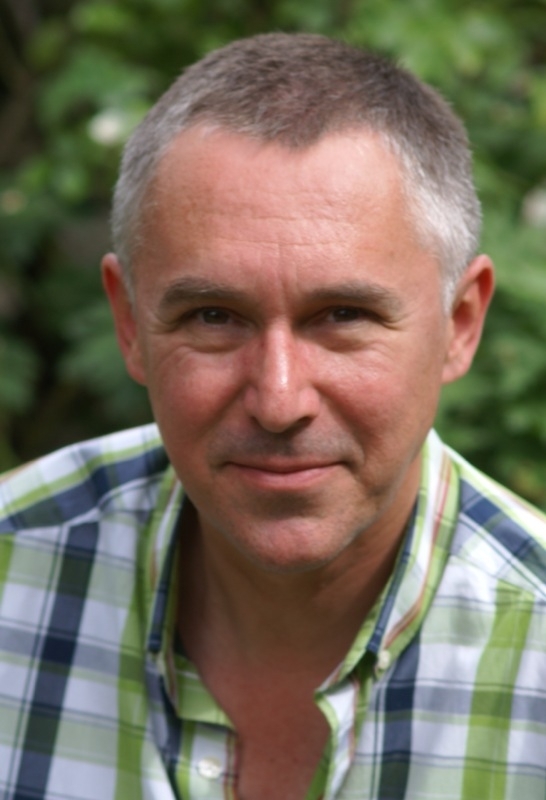 It was rapturously – and gratefully – received. Interview: Animal Collective’s Brian Weitz, aka Geologist. You’re in the middle of quite an extensive European tour. Is travel still broadening the mind, or does it all become a mind-numbing routine? It’s a mind-numbing routine. We’ve done it more times than I can remember at this point. We settle into it pretty quickly. But there are always nice parts of the tour, for sure. I’d never been to Milan, so it was nice to play a concert and then have a day off there. Your ninth album [Merriweather Post Pavillion] has just broken through commercially, so you must be riding the crest of a wave at the moment. Was that something you had factored in? Were you expecting it in any way? We had a sense that people would like it, and we thought we’d made something special – but we certainly didn’t expect it to do as well as it has. I wouldn’t say it’s any more successful artistically than past ones, because all of our records are intentionally different from each other. We’ve always been inspired by pop music and dance music, which are palatable styles to people. In the past, we’ve obscured those influences, and kind of hidden them – whereas on this one, before we even started writing it, we said it would be fun to try something new, and just to be a bit more direct. Does this success increase the pressure of expectation upon you, or are you oblivious to that kind of thing? We’ve been doing it for a while, so we’ve dealt with negative reviews and we’ve played shows to one person. We’ve been playing together since high school, so if any moments that might be considered failure were gonna have a negative impact on us, it would have happened by now. There’s a certain pressure that you feel from the outside. Our record label [Domino] is in London, so we have this direct line to the pulse of the UK press, like NME and all this stuff. And we did before that, when we were on FatCat – we’ve always had record labels based in the UK. So whenever we show up in London, the phone starts ringing from the label and from our booking agent, and so that place seems to be where we feel the most pressure. But at same time, it’s really easy to just to take a step back and say: we’ve been doing this for so long, this is just another show. We can just section ourselves off and let the rest of the people worry about how many photo passes need to be given out, and that kind of stuff. I mean, we have a tour manager now, and people that can help us isolate ourselves from those sorts of things. With a lot of bands that start with an experimental approach, success can lead to a pressure to round off the sharp edges. Could anything threaten your freedom to do whatever you please with the next project? I think we’re totally free. Domino never asks for anything specific from us. They never ask to come into the studio; they never ask to hear what we’re working on. There certainly wouldn’t be any pressure from anybody else besides ourselves. Again, I think when you’ve got a group of guys who have been playing together for fifteen years, they generally know. For the majority of that time, we were not releasing records – or we were releasing records to a very small amount of people and not making any money off it – yet we continued to do it, and so I think the foundation is pretty strong for integrity and doing what we want to do. The next project is already pretty far along, and I have to say that the sharp edges are probably even more extreme on it that they have been for a lot of the past records. Are you sticking to your technique of touring the new material now, and refining it on tour? No, actually. We’re doing something completely new. The next project is going to be a DVD, or a film. It’s the four of us, and a director that we’re friends with, and we’ve been creating this sort of visual album – which is how we’re thinking of it. We’ve been trying to create it simultaneously, where we shoot visual things and we compose original music. We’re trying to do it where we pass it back and forth between each other – so that the visuals influence that we write, and then what we end up writing influences how the visuals are edited together, and how they’re cut. We’re pretty far along in the process, and it takes a while. It’s not gonna be on Domino or a record label like that; we’re working with a small music DVD production company. We had to fund it ourselves, so the process is slowed down a little bit. But it’s a kind of thing that’s never gonna be performed live, so we really want the visuals and the music to stay locked together. I’m sure that with the technology today, people are gonna extract the audio and it’s gonna be online. It’s gonna be this thing that very few people actually go out to a film festival and see, or purchase the DVD. But I dunno, maybe nowadays DVDs and visual things are passed around freely on the Internet? There was an extraordinary pre-release hysteria, centred around your fans’ attempts to get leaked copies of your current album. Didn’t somebody actually hack into your own personal e-mail account? They created a fake e-mail. We looked into it a little bit. We’re not exactly sure what happened, but I guess it’s not that hard to create a fake e-mail address, or something that just happens to look like an original one. It wasn’t actually mine; it was the band’s e-mail account, but the letter was signed as if it was from me. An extraordinary volume of words have been written about you recently, particularly on the Internet. It feels like you’re the band that launched a thousand blog posts, and it almost makes me feel like I need some sort of post-doctoral qualification in Animal Collective Studies, before I can even start to discuss the work. Do you keep tabs on all of that? Does it mystify you, or does it interest you? It’s better not to look at it, whether it’s positive or negative. If you open yourself up to reading positive stuff about you on the Internet, and if you place a value on it, then you also have to place a value on the negative stuff – and for all you know, it’s an 11-year old kid sitting at his parents’ computer. With the Internet, you have to remember that a lot of these people aren’t even really qualified to discuss us, in my opinion. Like when we get on stage and Dave, who’s Avey Tare, is singing 80% of the song – but people still refer to him as Panda Bear, because they think that Panda Bear is the lead singer, because he’s put out a solo record. It just reminds us that there’s so many intricate things about our band that people still don’t understand, because they’ve put together an idea of our band from these little snippets that they’ve read. On the Internet, there’s never any fact checking. Nobody knows if anything’s correct, even on our Wikipedia page. There was a rumour going around that Noah [aka Panda Bear] had gone to school with Tupac; it was on Wikpedia. There is a mysterious, open-ended quality to your music, which can lend itself to people looking for stuff that isn’t there. Is there a temptation for people to over-analyse your work, when they should just ride with it and feel it? It’s up to them, but I think in general we would prefer people just to feel our music. We’ve never been into very cerebral music ourselves. When we got into experimental music, we responded to things that felt like they were made from some kind of visceral inspiration – or where we had more creative reactions, like imagining little films in our heads. Then we were delving more into experimental music, and finding that there was a huge academic, sort of university side to it. It really turned us off, because to us it was not fun to interact with music in a super-cerebral way. So we definitely don’t intend for our music to be taken that way. And I know it does for some people, and that’s fine – but it’s not what we intend. Some people like a song to tell a story, or they like to be able to grasp its precise meaning within the first two or three listens. Because that’s not really the way your music works, some people will see it as “difficult” music – which makes them feel they’ve got to put the work in, to get that kind of meaning out. It is intentionally confusing a little bit, just because we like confusing music. We like listening to music ourselves that can be somewhat disorienting. But it’s not intended to be completely difficult, or completely obscure. All those things that are in there – like mystery, or some kind of confusing nature – are there more for enjoyment, because we’re hoping that people will relate to music the way that we do. We’re not there to cause over-analysis. But again, it’s not a negative thing. How much importance should we place on the word “collective” in your band’s name? Does it describe the way you work? There’s no Communist manifesto. We don’t all live together and take turns cooking breakfast and stuff like that. Some people think that there’s a reference to some sort of hippie commune thing, and that we believe in some idealist form of collective living. It really has nothing to do with it. We didn’t even really want to use that word, back in the day. We were not going to have a band name. We would just write which of the four of us played on the record, or something like that. We came up with Animal Collective when it was the four of us, because it was just too many names to write down. Like when we were going on tour: you can’t tell a club to write this on a chalkboard or a poster. So we said, we’ll just call it Animal Collective because the “collective” implies that it’s a rotating line-up of four people. FatCat asked that we use that on all of our records, so that there could be an umbrella name for people to find us in record stores. And we were like: well, we’ve already used this on once on a tour when it was all four of us, so let’s just take what we did that time. Now we use it as an umbrella name for whatever combination of us play on a record, and I suppose that still means something. With this record there’s only three of us, whereas the past few records have been all four of us – and now the next thing will be all four of us again. So Josh, the fourth member, is going to come back on board? Yeah – like I say, we’re already pretty far along into the process of the next thing. The seeds of it started before we even recorded Strawberry Jam. Does the Animal Collective creative process only start when you are physically in the room together, or do you work separately and pool your ideas? None of us live together. Noah lives in Lisbon, I live in DC, Dave lives in New York, and Josh lives in Baltimore. So we have to schedule time to get to work on music – and that time is usually limited, because we’ll have some things going on in our personal lives that are equally, if not more, important than the music. So everybody usually has to do a lot of individual work at home. We have to talk a lot over the phone, or e-mail when we’re gonna get together and actually write and work on stuff. Is that an egalitarian process? Do you have to consciously sublimate your egos, or are you fighting like hell to get your personal ideas accepted? No, we’re all pretty good at keeping our egos in check. You always have to make more than you think you’ll need, in terms of ideas, because not every single thing you come up with will be in sync with somebody else’s ideas. We’ve also gotten into the habit of sending little demos; recording stuff at home, and then using the Internet to send it to people. For Merriweather and for this visual project, that’s been a huge part of the creative process. Then if people don’t like it, the idea can die a really quick death – so your ego doesn’t even have time to get attached to it. Having played together for such a length of time, you must have developed an instinctive, unspoken rapport – so that when you’re going off in a spontaneous direction on stage, you instinctively know where you’re all going. Yes, we’re pretty good. We work pretty quick and pretty intuitively with each other at this point. Merriweather was kind of the same, when Josh decided he didn’t want to go on tour after we finished Strawberry Jam. We weren’t even sure we were ready; we wanted to write new material, but we weren’t sure exactly how the process would start. Then Josh said: I don’t want to go on this next tour, and then we only had a month from finishing Strawberry Jam to the tour starting, and Dave and Noah and I were like: we’ve got to get together for a couple of weeks. So everybody worked really hard at home for a couple of weeks, and then we’d get together for a couple of weeks. Then we wrote something like eight or nine of the songs for the record, just within those two weeks, before going on tour with them live. That was probably the fastest we’ve ever worked, but it just came together really intuitively. A lot of serendipity was involved, in terms of everybody being on the same page without being in the same room. Are the songs are still evolving and going off in different directions on stage, or are you more scored and scripted these days? There definitely is a script to the songs, for sure. We’re performing them in the same manner that they are on the records. There are open-ended moments in the set – like how we get into a song can change from night to night. The middle of Guys Eyes has a pretty open-ended middle passage, where there’s no set length of time, and what people do in there is not really scripted so much. The beginning of Brother Sport is different, and we go in a different direction with it than we do on the record. So things are changing a bit, but we’ve always liked things to be different between the studio and the live show anyway. I’ve spent a long time staring at the front cover of your album, so can you tell me what’s on that purple image that lies behind the green beans? I don’t know, actually! Dave [Portner, aka Avey Tare] and our friend Rob who helps us with our graphic design did it, and they showed it to Noah and me. And we said: that looks cool. But I’ve never actually asked what they put behind it. I heard Noah ask Dave once, and he said: oh, it was just a picture. So you’ll have to ask Dave if you see him, and I don’t know where he is at the moment. Dave does a lot of the visual artwork, and we usually never ask him where he found something, or what he did to it to get it to look like that. The same also goes with Noah’s lyrics. We don’t really ask each other what people are singing about. Late of the Pier – Nottingham Bodega Social, Thursday March 12. Despite enjoying Top Forty success last year with their debut album Fantasy Black Channel – and becoming our most successful band for many years in the process – Late of the Pier have yet to stage a large scale homecoming gig. Instead, they’ve opted to put on grassroots shows in small venues: firstly at the Chameleon Arts Café in December, where the set had to be cut short after thirty minutes after fears that the floor would collapse on them (“Don’t dance, or else you’ll die!”), and secondly at a “secret” show at the Bodega last night. Publicised entirely via word of mouth – no press, no Facebook, not even a stray Twitter – the venue attracted a fiercely loyal crowd, many of whom would remember the band from their formative days as Liars Club regulars, at the same venue. The forty-five minute set opened with a new song. By this band’s standards, it was a subdued, restrained, almost conventional affair – but any fears that commercial success had smoothed out their rougher edges were dispelled mid-set with a second, gloriously off-kilter new number. Starting out as jerky, staccato new wave, it morphed into a slow passage (causing certain over-excited punters to start stroking each others’ faces), before bursting into an almost heavy metal section and ending with atonal electronic bleeps and squelches. “We’re playing this gig to demonstrate how broken our equipment is”, quipped the singer – and true enough, the set was almost derailed a couple of times by technical hitches – but nothing was going to stop this band from whipping its fans into a chaotic, near-riotous frenzy. During the wildly popular Focker, the left hand speaker stack almost toppled over, sending beer flying over one of the keyboards. Meanwhile, the Bodega’s security guy worked so diligently in quelling the crowd surfers, that he was thanked for his efforts mid-set. At the final number climaxed, the singer joined the moshers – flinging himself into the front rows, where he was borne triumphantly aloft. It was a fitting end to a show that was thrilling, daring, and a rare privilege to witness.